Today was report card day for my children, and it just so happens that the differences among my kids is the perfect lead in for this blog topic. You see, one of my children should never be a salesperson. Talking to people — especially on the phone — is his all-time least-favorite activity (although he is actually pretty good at talking people into doing things that are very important to him). He has told me that he would prefer scrubbing toilets to carrying on conversations with strangers. On the other hand, he would make a fairly decent pricing person. His report card came home with A pluses in pre-calculus, chemistry, and computer programming. The teacher comments mention his attention to detail and how logical his mind is, and he’s actually thinking about majoring in math or statistics in college. I have another son who would make an excellent salesperson. His teachers talk about how friendly he is, how willing he is to participate in class, and what a joy he is to have in the classroom. He just got a C in math. So why am I telling you about my sons’ report cards? The people who work on your sales team and your pricing team probably brought home report cards that demonstrated the same differences among their skills and personalities. And while your sales reps are probably super-awesome at dealing with people, they might need some (ahem) minor reminders about important mathematical concepts. One common story our researchers hear all the time is how the sales team rounds down numbers when they quote prices. 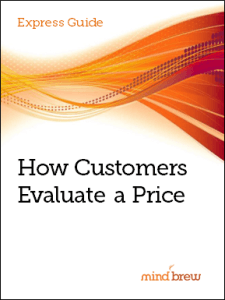 Pricing will tell them they need to charge $19.30 for a certain product, but when the customer asks for a quote on 1,000 units, sales rounds the price down to $19 each. The difference between $19.30 and $19 probably doesn’t seem all that significant to the sales reps. After all, when they were calculating their commissions in their head, they probably rounded down to estimate how much they were going to make. What you realize and the salespeople don’t is that 30 cents can have a huge impact on profitability — particularly if you are in a high-volume, low-margin business. For example, say your net margin on that $19.30 product is just $3. In that case, the 30 cents that seemed like nothing actually represents a 10 percent reduction in profits. And if your net margin is only $1 or $.05, the discount could be catastrophic. Believe it or not, the people on your sales team probably aren’t idiots — even if they did get Cs (or less) in math. They just don’t think about the same things the pricing team thinks about. Usually, all it takes to get them to stop rounding down is to walk them through the math once… or twice… OK, five times tops, but they will get it, we promise! Stopping the practice of rounding is one of the “quick wins” we cover in our webinar on Identifying and Capturing Profitable Quick Wins. Its full of easy-to-implement tactics that can help you achieve rapid — and dramatic — results on the bottom line. 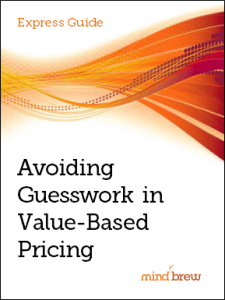 We also encourage you to watch The Pricing Practitioner’s Primer on B2B Sales. It can help you get inside the minds of salespeople and understand what makes them tick. And that can be extremely helpful for those times when you need to convince them to do things a slightly different way — like not rounding prices.